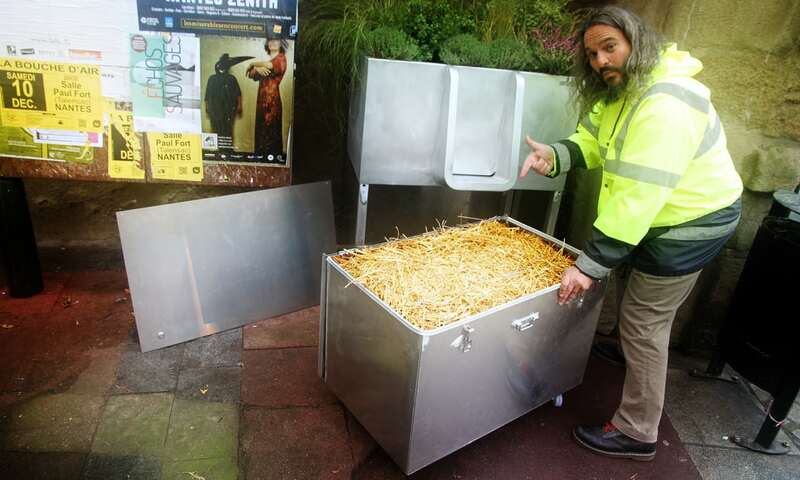 Boxes installed in French capital convert urine into compost for use in parks, and absorb unpleasant smell. 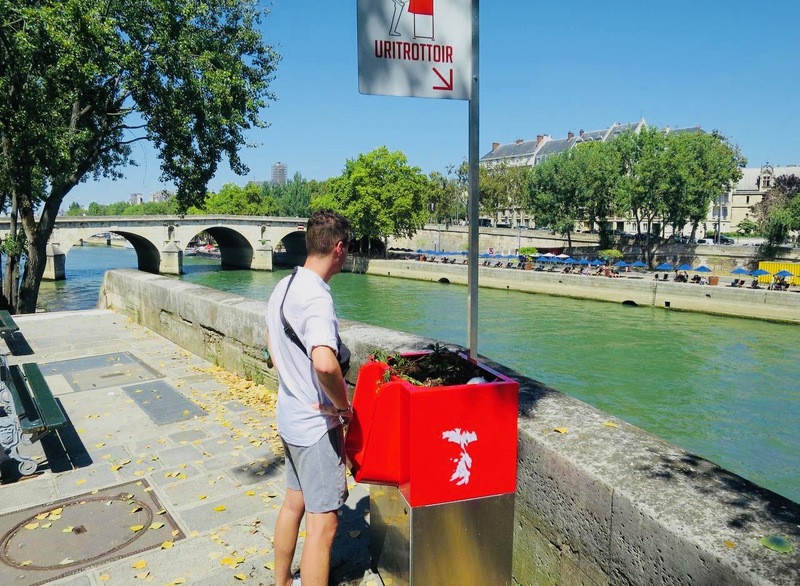 The public urinal that turns pee into compostIt may be better known as the city of light and of love, but Paris is also – and all too often – the city of pee, and consequently of pong. 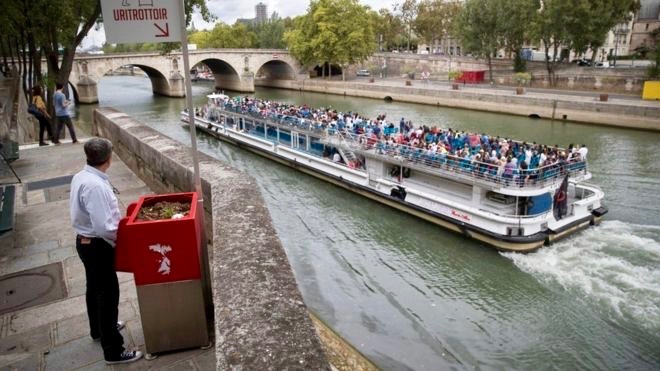 But the French capital has a new weapon in its longstanding battle against les pipis sauvages, or wild peeing, the time-honoured if technically prohibited practice of urinating in the street, and its unsavoury accompanying odours. 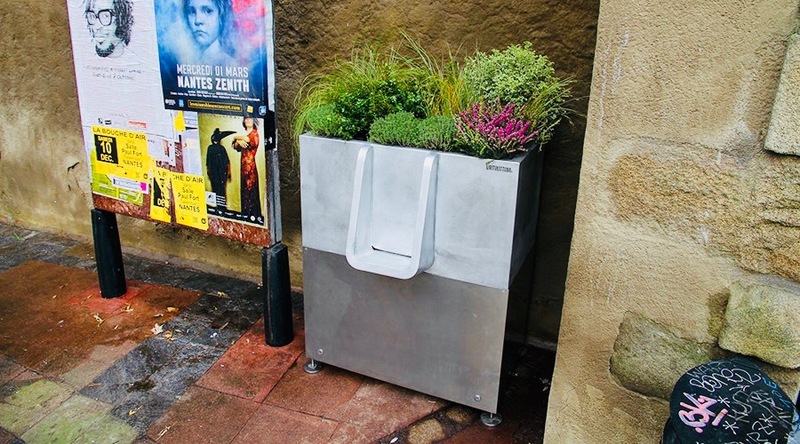 The Uritrottoir, a large box with an opening at the front topped with an attractive floral display, has the added bonus of making public peeing not just more civilised, but eco-friendly. 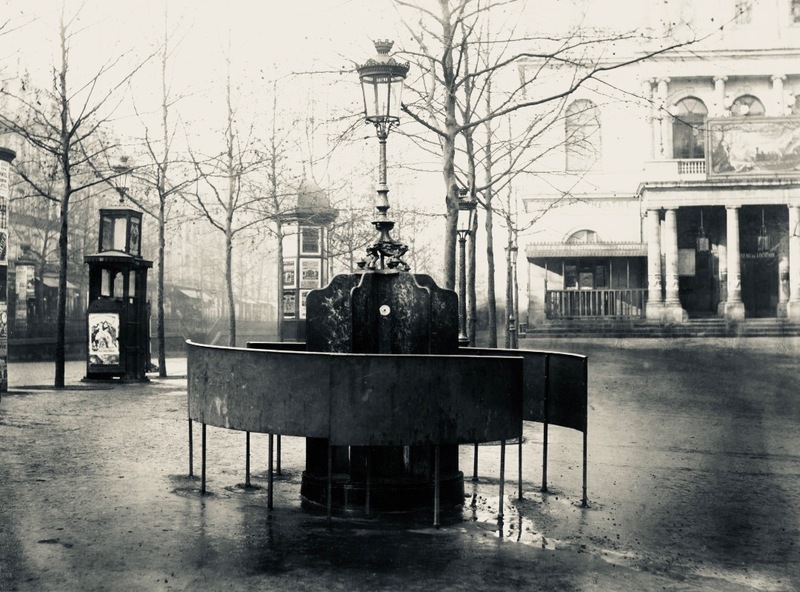 The miniature garden sits on top of a closed bin containing dry straw, sawdust or wood chips that – after the passing of time and water – is collected and then transformed into compost to be used in parks and gardens. 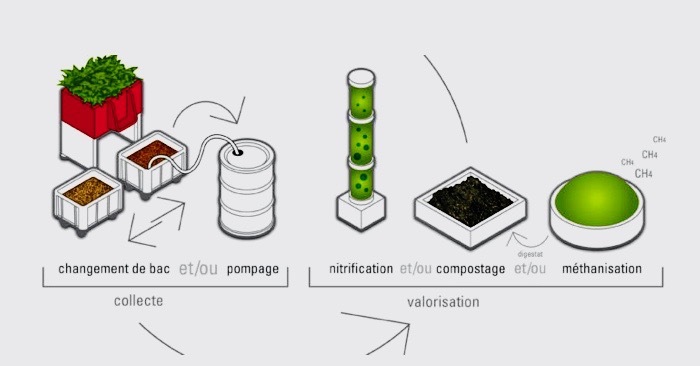 Equally importantly, the organic material has a high carbon content, dramatically reducing the smell. 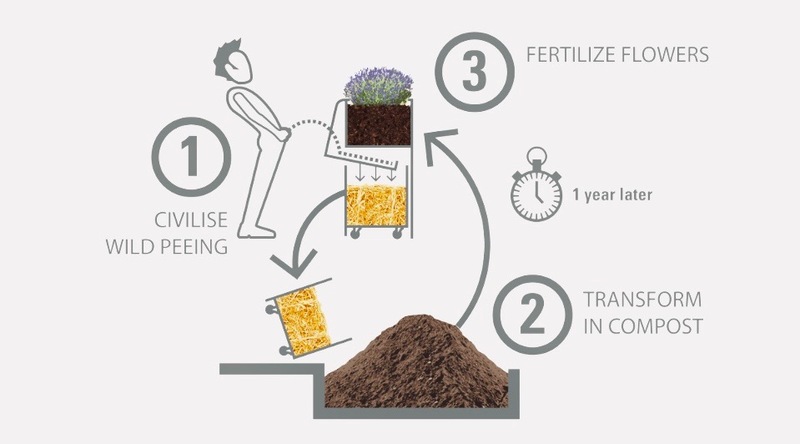 “We’re making compost, a fertiliser, so it’s a circular economy. 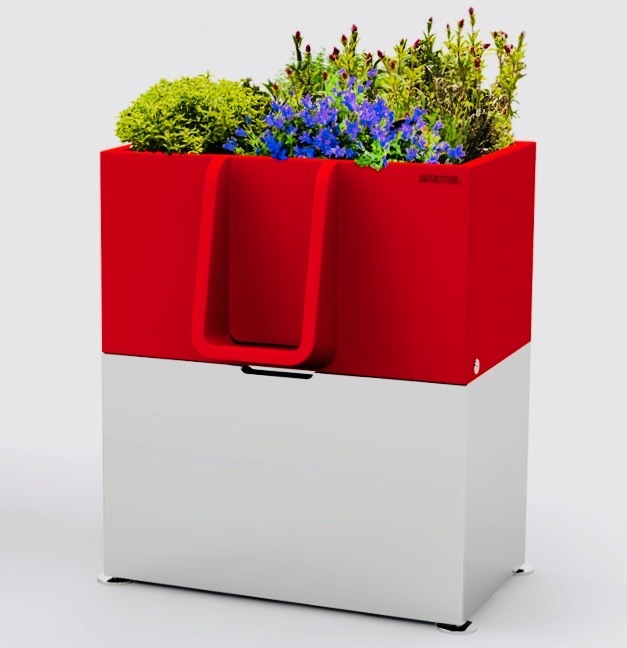 We’re re-using two waste products, straw and urine, to make something that makes plants grow,” said Laurent Lebot, who designed the Uritrottoir with his colleague Victor Massip from the firm Faltazi. The product comes in two sizes. 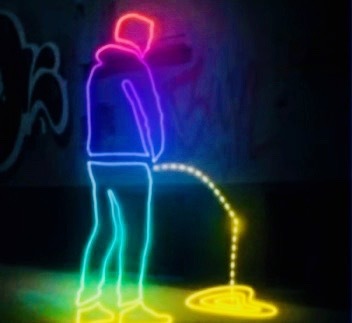 The designers estimate – based on an average 450ml per pee – that the larger model will absorb the output of some 600 users, while the smaller one should hold 300. 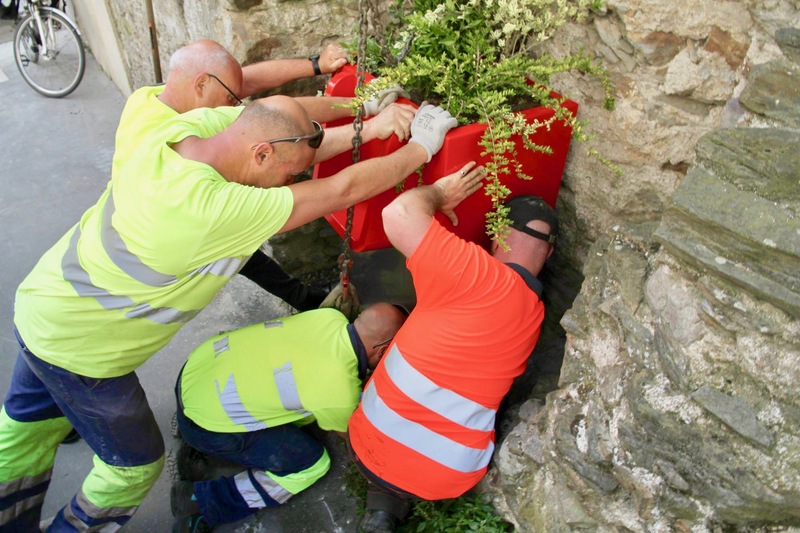 Coated with a bright red, graffiti-resistant paint and costing about €3000 each, both are fitted with an electronic monitoring system that sends a signal when the soaked straw or sawdust needs collecting. 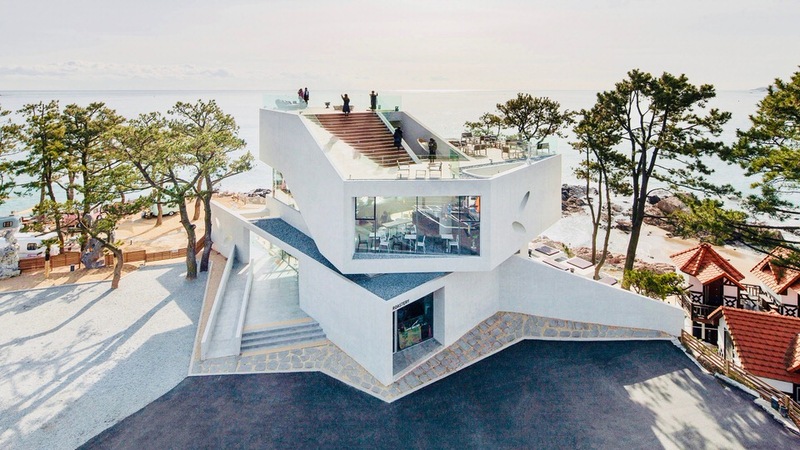 A corner-shaped version is also available. 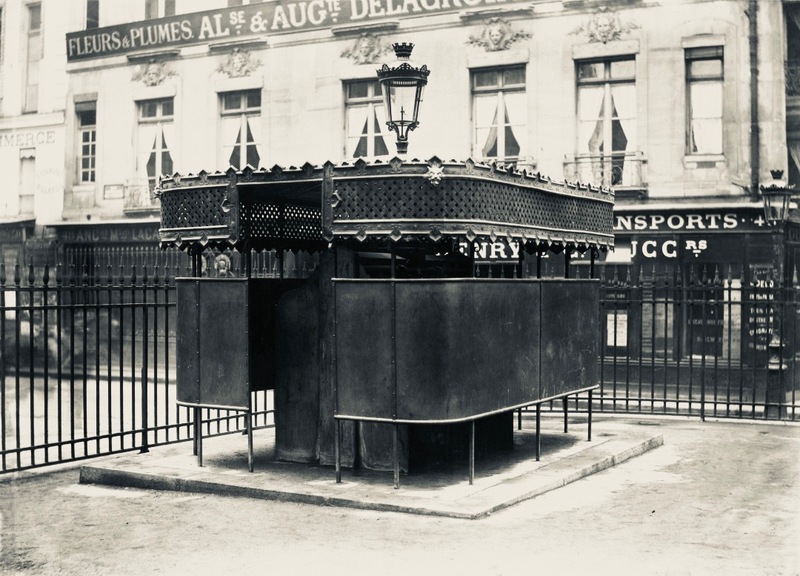 SNCF public railways have installed two Uritrottoirs in one of Paris’s most notorious public-peeing blackspots, outside the Gare de Lyon, with the trial set to be expanded to other stations and possibly streets around the city if successful. 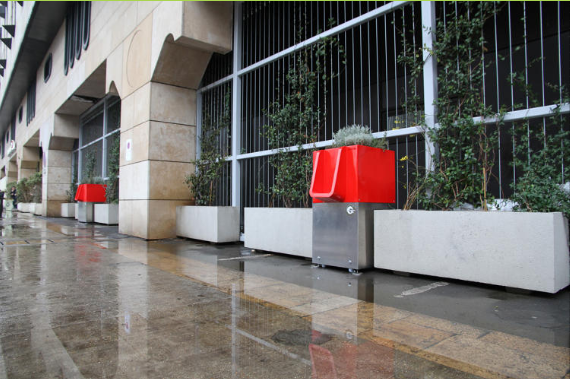 Three more of the “dry urinals” are on trial in the designers’ home city of Nantes in western France, Massip said, adding that the design had evolved from an earlier device made for summer rock festivals. 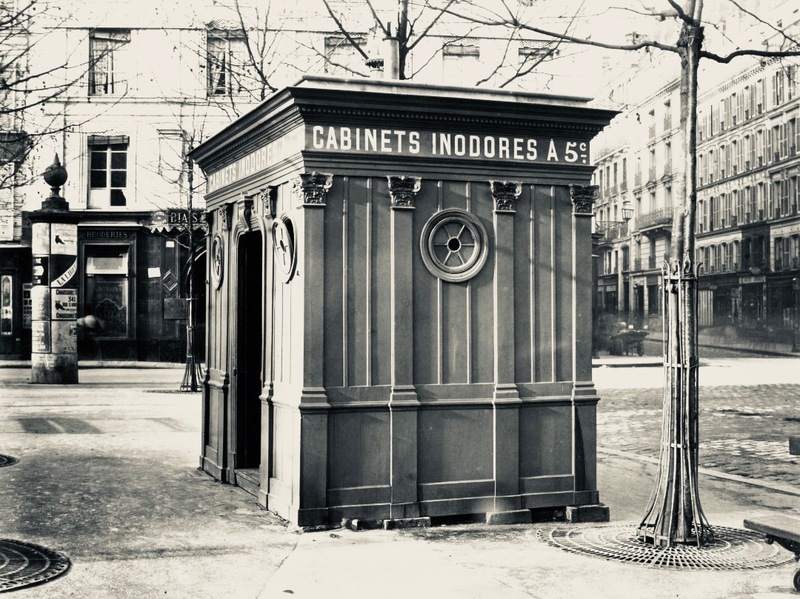 In its effort to stem the flow, Paris has installed some 400 self-contained, self-cleaning, unisex public toilets known as Sanisettes, free to use since 2006. 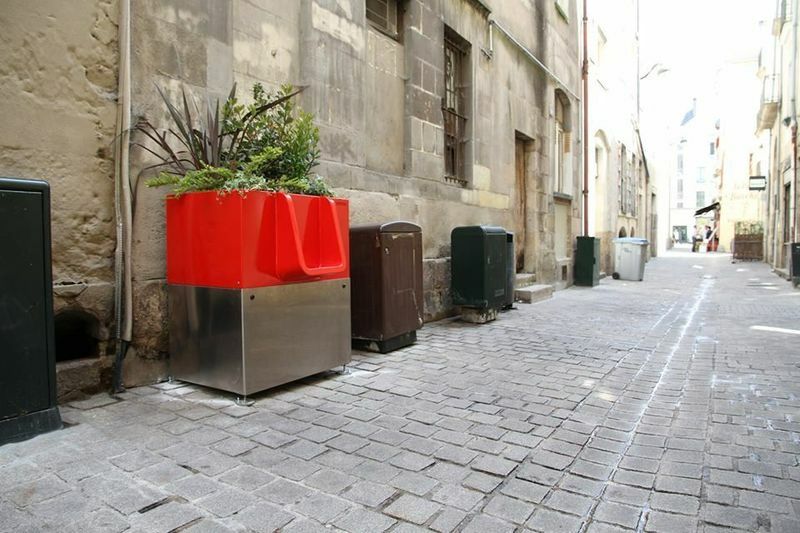 It also employs a small army of street sanitation workers who disinfect and deodorise thousands of square metres of walls and pavements every month. 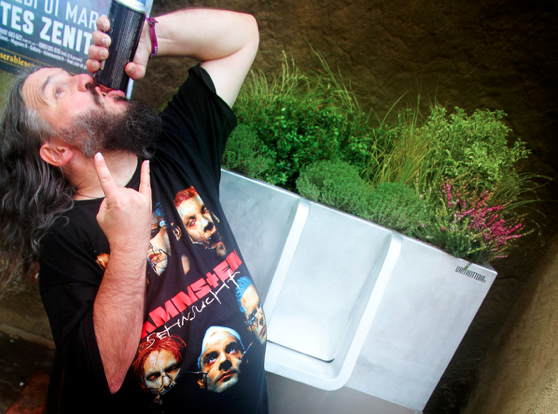 But despite their best efforts, the urine seeps into the stone and the smell lingers, particularly in summer. 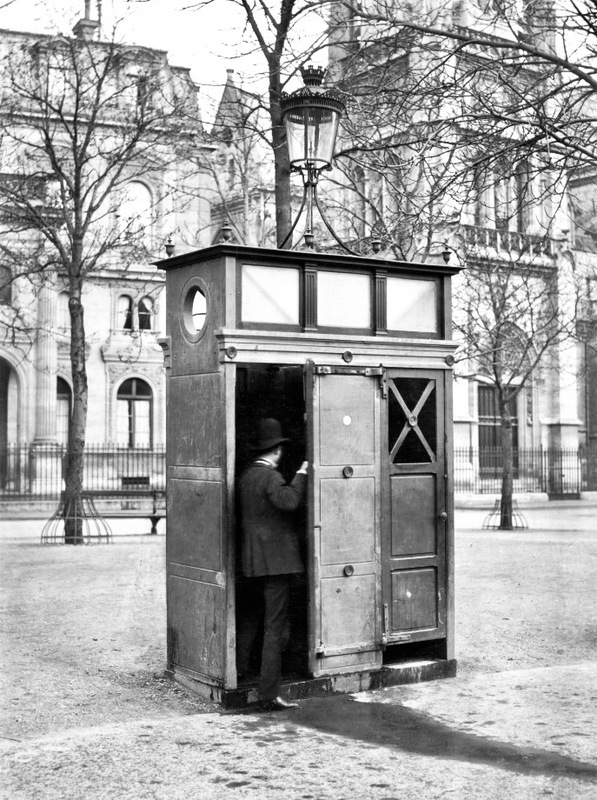 Lebot said all sorts of other possible solutions had been tried, from hydrophobic paints to metal sheeting, but nothing really worked.